Monthly featured Saver Awards You are here. ( * ) These locations are "hot"! Locations with this icon displayed have greater amounts of availability, at this current time. Award space is subject to availability and capacity-control restrictions apply. Since award space is booked in a special class of service, it may not be available on all flights or on all days of the week when you choose to travel. Markets above are only highlighting flights that have ample saver award availability for travel during the month stated above the market list. Markets are only valid on United and United Express operated flights, but not on flights operated by other airlines (such as United-marketed code share and Star Alliance flights). United may change the MileagePlus program rules, regulations, awards and special offers or terminate the MileagePlus program at any time and without notice. 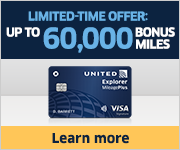 For complete details about the MileagePlus program visit united.com. You can purchase additional miles and use them in combination with the miles you have earned.